IMPho Review: The LAST Training Course You'll Need to Make Money Online? Hi! It's time for another review, and this time I'm going to give my take on IMPho (Internet Marketing Phorum) a membership site for internet marketers. In this IMPho review, we'll take a look at the different advantages and disadvantages of IMPho and being a member of the site, and whether at $47, is IMPho scam, or is it worth every penny. And no, this is not just a copy paste and spun article from the sales page like others. So please stick around as this is going to be a lengthy one (like my other reviews) because as always, I want to give you all possible details about IMPho so you can make an informed choice if you do decide to join IMPho. If you have been doing internet marketing or tried to make money online through affiliate marketing, then perhaps you now understand how difficult this endeavor can be, from setting up your first website and tweaking it for search engine optimization (SEO) purposes, to selecting the right product that will sell, writing your first review and so on. Well, I've been there and up to now, I still have to make my first dollar online. Perhaps my affiliate marketing life would have been easier if I had somebody to teach me how to go about the whole process. I could of course, just open my browser and start searching for resources, but with all the information out there, and those tutorials and gurus that promise everyone that they can make money online with their proven strategies, it can be very difficult to choose from among them all. So with all those promises, which one actually delivers? Will an eBook suffice? Will scouring through hundreds of threads from forums do it? Or will it be better to join a membership site like IMPho where you'll get access to unlimited resources and the chance to interact with other people like you? Before we go further into what is IMPho and the pros and cons of IMPho, let's get to know the person behind IMPho first. Allen Payne is the founder of IMPho. He is an internet marketer and has been one for over 10 years. He used to work as a waiter but is now a full-time internet marketer earning a 6-figure income online. From reading his bio, I'd say his story is pretty realistic and believable - you know, without all those hyped up drama. Aside from making money with IMPho, he also runs several niche websites, although he dabbles more with affiliate marketing and membership sites most of the time. His credentials include being the author of more than 10 informational products which was very much well-received by his audience and other casual internet users who are looking to make money online. IMPho is pretty much like any other make money online program, but with a very big difference. Unlike other materials, IMPho is not an eBook, which you download, read and apply. Instead, it is a membership site which contains tons (yes, "tons" - you'll see why later) of valuable information about being a successful internet marketer. This alone should be enough reason why you should be interested in IMPho; however, it goes beyond offering training courses and modules - it is a community portal with hundreds of members - from seasoned internet marketers to beginners who are all active in the IMPho forum. There are many things to like about IMPho, and you can read all about them in the sales page. However, after going through them all, I have outlined below some of the strongest points of IMPho. IMPho has probably taken all content there is about internet marketing and summarized them all in the site. This gives you access to well-organized information which I believe is very helpful especially for those who are still starting (or thinking of doing so) in internet marketing. I mentioned that IMPho contains "tons of valuable information" somewhere in the early parts of this IMPho review, and here's why: just take a look at the image below - there are 495 modules about the most important things that you'll need for your internet marketing venture. Another thing I like about IMPho is that it doesn't just bombard you with information about internet marketing and so, but it also allows you to use their SEO and Marketing tools which are more than capable of helping you get better results on search engine results pages (SERPs). In my opinion, if you're going to pay for a make money online training course, you should at least get some extras, and these tools are pretty nice additions to all those information that you get from IMPho. This is by far my most favorite among all the features of IMPho. Unlike when you buy and download an eBook, which you will most likely ignore once you're done reading, in the IMPho forum, you can actually interact with other internet marketers - both veterans and amateurs - and get to learn from them - from what they did right, to where they failed, and so on. This is I think is very valuable since by joining this forum you can get real-time information from real people. You can't get these kinds of information from reading an eBook. Aside from posting questions you may have in the forums, you can also send a private message to the members of the site and Allen Payne himself. They also have a support team on standby should you have any trouble in the site. You can open ask or open a ticket in the website's help desk and, most of the time, the team will have an answer for you in a few hours. Like in all my other reviews, I try to see the different concerns regarding a specific product, or in this case a membership site, in order to give you a full and well-rounded review. Here are some of my concerns about IMPho. Premium membership at IMPho costs $19.95 a month, which in some cases might be quite expensive if you're planning to stay in the group for a long time, which is what you should do if you're going to learn all the modules and see the training program through. They do have a 3 Month Plan which costs $49.95, which should be able to help you save a few dollars. The good thing is that there is the IMPho Starter Plan which allows you free access into the membership sites. Of course the features that you can use will be pretty limited. Instead, why not try the IMPho 7 Day Trial at $1 where you can get to enjoy the full features of IMPho for a limited time. As you have seen, IMPho has a lot of information that needs to be covered. It's not like you can sit down and consume the whole content in a day. Getting through the IMPho Internet business training program will require time, and a lot of effort on your part. To sum up, here's what I think of the IMPho by Allen Payne. (1) IMPho is a good resource for beginning internet marketers. There is the 30 Day Challenge which guides you through a step-by-step process to help you get started. There are also the modules which contains all you will need to know about the business and how to succeed in it. The information presented are clear and concise, which is pretty easy to understand even for the most amateur internet marketer. Plus, there is the forum and support features where you can ask for help from other members of the site and Allen Payne. (2) IMPho is bound to be helpful for seasoned internet marketers as well. This is because it allows you access to information about the latest SEO and Keyword Research and other tools which we all know are very, very, important. Plus, you can help out other marketers by sharing your thoughts and opinions and advice in the forums, and somehow build credibility for yourself and your site. (3) IMPho is not a get-rich-quick scheme. Again, there are tons of information to be consumed at IMPho resource and training center, and be realistic - you can't expect to make any money from this by reading just one module overnight. You may start seeing an income after you're done reading some of the modules and applying them, but you won't be able to harness the full potential of IMPho unless you finish the whole thing. This ends my IMPho review. I hope I've covered most of the things that you want and need to know about IMPho, and thus helped you decide whether IMPho is for you or not. If you are planning to join IMPho, I would really appreciate it if you do so through my link below. Clicking the image will lead you to IMPho sales page, where you can sign up for the 7 Day Free Trial. What do you think of IMPho? The WP Blazer and Work From No Home: The Perfect Combination to Make Money Online... Or Is It? "If using one IM product can make you cash...will using two double your profits?" In this post, we'll take a look at how affiliate marketers can harness the positive points of the WP Blazer and the Work From No Home system in order to improve your affiliate marketing endeavors. If you are still not familiar with these two products, I suggest you take a look at the WP Blazer review and Work From No Home review that I wrote a few days back. As I was writing the review for the Work From No Home system by Peng Joon, I saw that you are required to create several niche websites in order to really earn from this system. Although the 30 Day Action Plan is great in helping you setup these niche websites, still, there's a lot of work to be done if you are to succeed. Quite understandable, since I don't think any person or business would succeed if you're not willing put in some work and money into it. So after going over the Work From No Home system, I realized that there is a way to making the process of creating niche websites easier and a lot faster than having to manually do them one by one, and that is by using WP Blazer, and here's how. I mentioned earlier that in order to fully maximize the earning potential of Work From No Home, you'll have to create various niche websites where you will promote your chosen products. If you follow the 30 Day Action Plan religiously, you would have at least 3 or 4 niche websites in a month. In addition, Peng Joon suggests that you use WordPress in creating these blogs or websites. Where does WP Blazer come in? WP Blazer has two main features that can help you setup those niche websites in quickly and hassle-free, one of which is the Rapid WordPress Site Installation, which allows you to easily setup a network of niche websites in less than an hour. This is complemented by the Frictionless Themes and Plugins and Updates feature. This feature is a one-click system that automates the installation on themes and plugins necessary for your niche websites. Furthermore, you'll have access to Exclusive Members Only Marketplace, as well as get a bonus of over $1000 worth of WordPress themes and plugins - all of which can help you build professional and credible looking websites that will help draw in potential buyers. And if you don't want to start building one niche website after another from scratch (which can time consuming for beginners) you can use WP Blazer Clone Ultimate feature, which allows you to clone or copy your best performing niche website so you can have two of those. Everybody knows how important keyword research and Search Engine Optmization (SEO) is when it comes to creating and promoting websites, and these are just some of the salient points of Peng Joon's Work From No Home system. Although though Peng Joon lays out a keyword research and SEO guide nicely, the WP Blazer provides a great software that allows you to do these things inexpensively through its Web Performance and Analytics Portal. 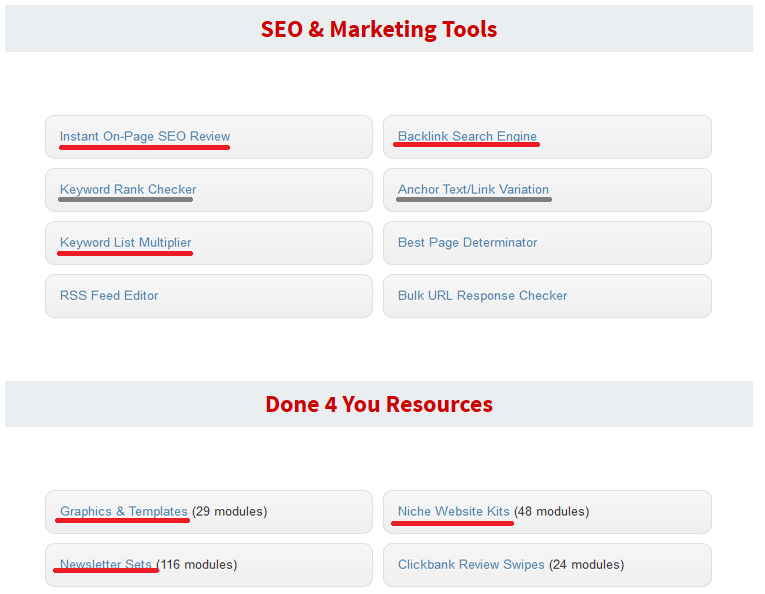 In this feature, you'd have access to different helpful keyword research and SEO tools in one software. You'd be able to find relevant keywords to use for your niche website, as well as use SEO tools to tweak and improve your websites in order for it to get better rankings in search engine results pages, and thus provide you with more online exposure - which is what you really need in order to be found online and make sales. In addition, you'd be able to monitor all of your niche websites in one dashboard, which should save you some time and energy - instead of having to open multiple pages just to check how your websites are doing. If there is one thing I realized while writing the WP Blazer review and the Work From No Home review, it's that they put to much emphasis on time - and the chance to have more of it. Work From No Home and WP Blazer, despite its great features that makes making money online easier, cannot give you all the money in the world, but it can help you make enough money - just enough to buy you some time which you can spend on the more important things in life. Thanks for reading my post, and I hope I'd been helpful. Work From No Home Review: Still an Answer to Making Money Online this 2014? The Work From No Home is definitely one of the most famous products out there when it comes to internet marketing. Although the product has been around for years, it still appeals to many people who are looking for ways to make money online until now. Does its popularity mean that the Work From No Home is the ultimate guide to making it big in internet marketing - or is it a scam? In this Work From No Home review, I'll try to answer that question by going over the pros and cons of Work From No Home so that you can have a better understanding of the product and whether it is the answer that you and other internet marketers are looking for. Affiliate marketing is a great way to earn money online - all you (the affiliate) need to do is to search for great products created by other people (the vendor) and promote it, and when somebody buys the product through you, you earn a commission which can be 50% or more of the product's price. That being said, it is possible to rake in massive amounts of money through this gig, depending of course on how well you promote the product. So if you have great writing and selling skills, this may just be your way to earning big bucks online. However, getting started as an affiliate marketer is not as easy as it sounds. There's choosing the right products to promote, building a platform or website to promote the product in, crafting content that turns your readers into buyers and so much more. Thus, the need for one system or guide that will help you through all these processes, and that may just be the Work From No Home by Peng Joon. What is the Work From No Home System? The Work From No Home is a system which Peng Joon used to create over $10,000 of online income while on vacation (you can watch the video on the sales page). No, it is not a software program that you need to download and install. 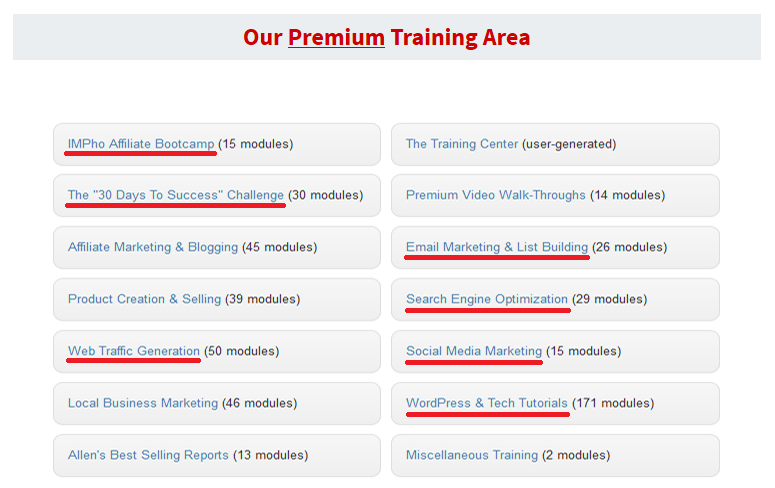 Instead, this is a set of modules and guides that aims to educate internet marketers, especially those who are just starting out in this line of online business. The Newbie Central - perfect for those who are new to internet marketing with discussions about setting up your first website to making your first dollar online. The Market Manipulation System - talks about legitimate ways of getting traffic and leaving your competition behind. Getting on Big G's Good Books - SEO tactics that will help you get better rankings in Google's search pages. Pole Position Package - discusses updated backlinking strategies that works in 2014. Decide, Commit, Succeed - a 30-Day action plan or step-by step instructions about getting started with your internet marketing endeavours. These are just some of the modules included in the Work From No Home system. You can read more about the features by going to the Work From No Home sales page, but I encourage you to read more of this Work From No Home review for what in my opinion are the drawbacks of the system. Peng Joon is the whiz kid behind the Work From No Home system. His life story is probably something that all of us, especially online gaming addicts can relate to. Although Peng Joon wasn't born into a poor family, he did suffer from financial difficulties including being in debt and having to work a regular 8 hour job. Accordingly, it was the Work From No Home system - the system which he himself developed, that got him out of his sorry situation and allowed him to earn ridiculously large sums of money as an internet marketer. The successful release of the Work From No Home plummeted Peng Joon into fame and fortune. Since then, he has partnered with some of the biggest names in internet marketing and blogging like John Chow and Jeremy "Shoemoney" Schoemaker in creating more internet marketing guides and products that sold like hot chocolate in a cold winter morning. In this section of the Work From No Home review, I'll go over some of the main features of the product, and why I think they are worth your buck. This part of the Work From No Home is in my opinion the most important section of the whole system. In this module, Peng Joon outlines for you the necessary steps and procedures that you need to follow in order to effectively harness the potential of the Work From No Home system. Day 1 starts off by picking your niche, or the topic you'd like to cover for your internet marketing endeavour, whereas Day 2 starts with keyword research and buying a domain name. Day 3 is when you setup your website accounts and Day 4 is when you start planning your content. This tutorial continues until Day 30, which by then you should have set up at least 3 websites and start seeing some income. The reason why I say this is important is because that many beginning internet marketers, myself included, have no idea about how to "really" start an online marketing business. Sure, there are tons of information available on the internet, but none of them are as organized, as detailed and as complete as the Work From No Home system. Thus, if you are a beginning affiliate marketer, I strongly suggest that you give this product much consideration. Despite being around for two or three years already, the Work From No Home is pretty much updated when it comes to Search Engine Optimization - including post Panda Updates (I'm not sure about Hummingbird Update though). This means that you'll get the best SEO and backlinking tips and strategies that you can use in order to rank better in Google search engine results pages (SERPs) even this 2014. This information is vital because no matter how great your chosen product is, if your target market can't find you, then all your effort would have been in vain. At $37 USD, there really isn't much that you can complain about in the Work From No Home system. It packs all the necessary information that you need and handy guides and videos that internet marketers would usually sell for hundreds or even thousands of dollars. If you are serious about becoming an internet marketer, this may just be the best investment that you can make. One of the great things about the Work From No Home system is that the information is laid out in the simplest way possible. Thus, even if you are new to this internet marketing thing, you wouldn't feel lost at all since the terms, instructions, tips and advice are all explained well in a manner that is easily understandable. I know it took a while to get to this part, but here it is. Like any other product, I don't think the Work From No Home is without its drawbacks. Truth be told, you'll need more than $37 USD before you get started. No, there aren't recurring payments that you need to pay for. The extra cash is what you'll use in order to buy the domain names and setting up your blogging and website accounts. In addition, if you are planning to outsource your content, you'll have to pay a freelance writer to write the content for you. All in all (if my calculations are correct) you'll need (approximately) $40 for the domain name, $99 for a premium membership in WordPress, and around $10 for every article from your writer - possibly more. Work Around: If you're not willing to shell out some more cash after purchasing the Work From No Home system, perhaps you could use one of those free blogging platforms like Weebly, Webs, Blogger, or WordPress (Free version). The processes involved in the Work From No Home system, at least in my opinion, applies even if you don't have a paid website. Even if you don't have a paid website, you can still employ the SEO and backlinking strategies and other techniques mentioned by Peng Joon. I mentioned outsourcing in the above paragraph, and said that this can be a disadvantage since you'll have to pay spend extra cash aside from the $37 USD for the product. However, I think the biggest disadvantage of outsourcing your content is the quality. Don't get me wrong, there are great freelance writers out there, but the cheapest ones (around $1 for a 500-word article) that you can find (especially in ODesk and Elance) are not so great - grammar wise and content wise. Seriously. And in some cases, you'll get spun and plagiarized content that can get your website banned. Work Around: If you have time and talent why not write your content yourself instead of outsourcing it? This should save you some bucks and help you get to really know the product you are promoting. If you lack the enthusiasm, then you can go to Hire Writers which seems pretty reliable. If you're planning to use ODesk and Elance, make sure you choose your writers properly. And no, I don't work for Hire Writers. Well, what mode of making money doesn't, right? I just thought I'd mention it here because some of you might be mislead by the video, you the one where Peng Joon goes to America and spends the month travelling around L.A. and the Grand Canyon and earning money at the same time. If you think you can do the same the instant that you buy the Work From No Home, then you'd be wrong. Like in any money making adventure, you need to put in some time and effort before you start seeing any results. The Work From No Home system is not a magic formula that brings in money by itself. Even Peng Joon had to do some work before he went out vacationing. Work Around: Probably why Peng Joon included the Decide, Commit, Succeed Module - to help keep you motivated and fired up when you start feeling discouraged. Like I mentioned in earlier paragraphs, the Work From No Home contains lots of useful information for beginning internet marketers, and although they are well-laid out, there is still the problem of information overload. 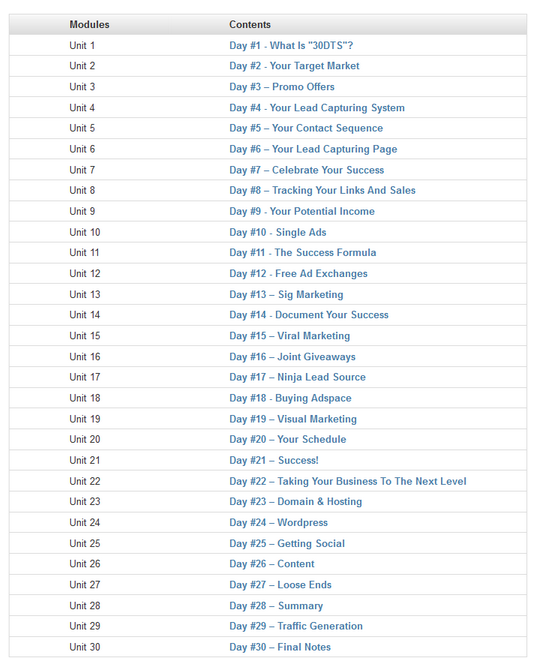 If you have been doing internet marketing for sometime, you can probably read through the whole module or tutorials within days, but for beginners, it will surely take longer than that. Especially for those who are too excited about making money online, trying to gobble up all the information in one sitting - no, that just wouldn't work. Work Around: Use the 30 Day Action Plan as it is. For example, don't get too excited and try to complete Day 1 and 2 on the same day. Instead, work through the system slowly. Try to go over every information carefully and make sure you don't miss out on anything. To sum up, here's what I think about the Work From No Home System by Peng Joon. (1) If you are just starting on internet marketing, the Work From No Home is a product worth considering. It has contains all the necessary information that you will need in an organized and concise manner. The 30 Day Action Plan is worth following, with detailed step-by-step instructions that will help yo get started in making money online as an affiliate marketer. (2) The SEO and backlinking strategies are updated and should work well with Google's present set-up, which should be of help even for experienced internet marketers. (3) Don't buy the Work From No Home if you are not willing to put in some effort and if you're not dedicated to following it religiously from Day 1 - you would have wasted your $37 USD otherwise. Still, the information that you get and the bonus package is worth it. (4) Don't buy the Work From No Home if you don't want to spend some extra cash or investment. The system requires that you buy domain names and other expenses in order to fully harness the power of the system. Again, you may use free platforms if you apply the other procedures mentioned, but that won't guarantee that you'll make as much money as Peng Joon does. (5) Is Work From No Home a scam? It most definitely is not. This is a proven system - a system which can be learned by anyone who is serious about making money online. It has videos and PDF guides and contains all the information that internet marketers need. There is no way that a product of this magnitude can be a scam. This ends my Work From No Home review, and I hope that I have somehow given you all the answers that you need in order to make a wise purchase. If not, feel free to leave your comments and questions in the comment boxes below and I'll try to get back to you with some more information. Now, with all the drawbacks of the Work From No Home system that I mentioned, you may not be enticed to buy the product anymore. Fortunately, the product is sold through ClickBank, and thus it is backed up by a 60 Day Money Back Guarantee. So I encourage you to give the product a try (and I know you're thinking about it or else you wouldn't have reached this section of the review), and in case you're not happy with the results, then you can request for a refund provided you follow the conditions. So in case you'd like to try the Work From No Home System by Peng Joon, or if you think that this review was well-worth it and would like to do me a favour, I'd really appreciate it if you buy the Work From No Home through my link the banner below. Thanks for reading my review, and I sincerely hope that I've been of help. What do you think of the Work From No Home? When it comes to blogging platforms and website creation, Wordpress is undoubtedly one of the most favoured choice for many bloggers out there. According to this article from Forbes, there are over 50 million bloggers and website owners who use Wordpress as their preferred blogging platform. That alone should be able to tell you how popular Wordpress is. Although Wordpress promises an easy way of creating a blog or a website, many people still find it difficult to manage their Wordpress blogs, I being one of them. If you simply want your own space in the cyber world where you can write about your passion or anything under the sun, then there is no need to dabble much on the intricacies of Wordpress. However, if you’re one of those bloggers who care so much about rankings and traffic as well as making some money online, then you perhaps had learned by now how difficult it is to tweak your Wordpress sites, with all its plugins and (sometimes) coding requirements. This is probably why there are so many Wordpress experts who freelance in ODesk and Elance because at one point or another, you're going to need their expertise with your Wordpress site. It is these difficulties that the WP Blazer Tool Suite aims to help Wordpress bloggers and site owners with, and in this WP Blazer review we'll take a look at how it tries to do just that. Before I get into details about the product though, let’s try to get to know the brains behind this product. The person behind the WP Blazer Tool Suite is Girithara Prakash. I tried hard to find information about him on the internet - I looked at his JVZoo profiles, Linked In and other possible sources but there just isn't much about the guy. But what did find, I believe is enough to give evidence about his qualifications as the product creator for WP Blazer Tool Suite. Girithara Prakash (also known as Giri P. in JVZoo) is from India, one of those Asian countries which is pretty good when it comes to Information Technology and software development. The city of Bangalore, also known as the "Silicon Valley of India" is where most western IT companies outsource their engineers and experts. Girithara Prakash has been in the business of Information Technology for well over five years, presently working as an SQL Developer. He also has a Master of Science (M.S.) in Computer Science. Over the years he has developed several software programs and sold them online, most of which were well-received by internet users world wide. His educational background coupled with his years of experience in the field of IT and software development pretty much gives us enough reason to consider the WP Blazer Tool Suite. WP Blazer is a software that carries various Wordpress tools which were created in answer to the many difficulties encountered by Wordpress users. It has various features which in my opinion can be pretty helpful to many Wordpress users out there. Once you've set up the WP Blazer Tool Suite, you'll be able to open a dashboard which gives you all you need to know about your Wordpress blog or site - from managing sites and blogs to analytics and statistics which many web developers and web owners find very useful in their marketing campaigns. This WP Blazer sells for $37 (for now), which I think is alright, given all the features and the freebies that you get when you purchase the product. In this section of the WP Blazer review, I'll go over the major features of the WP Blazer. I will not merely describe them (this is a review and not a sales page) but rather, I will attempt to see and explain how these can be useful to Wordpress users, especially web developers, managers and those who make money online by flipping websites. This feature of the WP Blazer allows you to set up your own websites in as little as a few minutes, allowing you to create multiple sites in an hour. As I See It: Setting up your Wordpress site can take quite some time, especially if you’re a beginner. I know, I've been there - despite the tutorials I still needed some time to be able to launch a Wordpress site. This feature seems to be quite good since it should allow even the most hardened amateur to be able to create various WP sites quickly and easily. Actually, even a professional web developer will take some time to set up one Wordpress site, so they may find the W Blazer helpful, too. So this feature, I think, is much sore suitable for: (a) newbies who are planning to build several websites, (b) professionals whose job is to build websites for clients, and (c) affiliate marketers who need to set up different niche websites in a flash. WP Blazer also features a on click system that allows WP users to quickly and easily install WP themes and pugins. As I See It: Themes and plugins are pretty important when it comes to creaing websites and blogs using Wordpress, since they can basically dictate the layout and functionality of you WP site or blog. However, they can be quite difficult to maniplate, and may require some coding ability if you're trying to go for something moe specific for your WP site or blog. Thus, this one click system is a great feature to have, as it allows WP users to automatically and instantly install those necessary themes and plugins without difficulty, especially for those who make money online through website flipping. With the WP Blazer, you can get access to exclusive themes and plugins which are not available to others, thus allowing WP users to come up with great and professional looking websites. As I See It: Wordpress has lots of great free themes, so I really don’t see why this feature is necessary. However, when you think about the price that the WP Blazer sells for, I guess it’s a good deal in itself. Some premium Wordpress themes can be pretty expensive, and so having this feature should allow you to save some cash. This is one WP Blazer feature which allows WP users to quickly transfer there sites from one server to another without much hassle. As I See It: Personally, I think this feature is geared towards those who make money onine by flipping websites or selling them. However, those WP users who run and manage multiple sites and blogs may also find this feature useful, should the need to transfer servers arise (which happens quite a lot). Now this is one important feature that every website owner and blogger - WP user or not - should definitely have. Backing up your website and all its data and content is very crucial. When a website crashes, you will loose all your data and hard work. WPBlazer allows you to automatically back up your files so you don’t have to worry about them getting lost. As I See It: This feature of the WP Blazer Tool Suite helps WP users and you avoid losing all your data should your website crash and have problems. It is like an auto restore system that saves and backs up your website's or blog's data so you can retrieve them easily should any problem come up. With simple set ups you can archive your data and keep them safe and secured. This is a really useful feature of the WPBlazer, and something that all website owners should consider having. WP Blazer allows user to back up their files in Dropbox, Amazon s3, Google drive, Email and FTP server, and the team behind WP Blazer says that they will be adding more backup options in the future. Nice. WP Blazer allows you to keep track and monitor your websites and blogs, their traffic, statistics and more in a centralized portal. As I See It: Wordpress stats, as good as they are seems to simply scratch the surface of your analytics, and if you want to see how your sites are performing you'd have to check them one by one. This can be very time consuming and exhausting at the same time. Thus, I find this feature of WP Blazer very convenient, as it makes monitoring your website's and blog's stats a breeze. You get access to all your WP sites in one dashboard, and be able to scrutinize them and make wiser decisions about your SEO and marketing campaigns. This feature of the WP Blazer at the present provides necessary SEO tools, Keyword research tools and CSS validations, with more coming in the near future. This WP Blazer features allow user to replicate (create new websites is how the sales page calls it) existing sites and blogs with ease, allowing users to copy their best performing websites and duplicate them. As I See It: Some websites perform better than others, and when it comes to cloning or duplicating WP sites, then this feature of the WP Blazer is something worth looking at. I find that this feature is more beneficial to multiple WP site owners and flippers. For WP site owners, you can duplicate your best performing WP site or blog and have two such sites. For website flippers, this is beneficial if you have clients who want a specific site copied for them. This saves you a lot of time since you don't have to start from scratch in order to build a good website. Website flipping is a great way make money online. WP Blazer has a feature that allows website flippers to create and sell websites to efficiently sell and transfer their creations to their buyers. As I See It: This feature of the WP Blazer is geared towards commercialism, and is basically for those who want to create and sell websites - this feature along with the others name Blazing Site Transfer and Clone Ultimate. For those who are just staring out in this make money online venture, this feature should help you get started, while the veterans and the pros may find that this will help improve their business. Many reviews make the fault of not mentioning the flaws (existing and possible) of the products they are reviewing - a practice which in my opinion is never a good idea. Thus, in this Wp Blazer review (and all other future reviews) I will be transparent and unmask all disadvantages and flaws of eveyr product that I come across with. Sounds like I'm bound to lose some sales, eh? So in this we'll take a look at the possible flaws of the WP Blazer Tool Suite - take note that I mentioned the word "possible" since up to this writing no negative reports about WP Blazer has come up yet. Remember that WP Blazer is a software, and like any other software, there is a chance that WP Blazer can be attacked by bugs or crash. There may also be software problems and other system malfunctions lurking somewhere. The good thing is that WP Blazer has a supprt team standing by. The WP Blazer support team (they say) is composed of professionals and experts who are well-versed with the ins and outs of the WP Blazer Tool Suite. However, that remains to be tested still. If not, thank goodness they have the Automatic Backup feature. This may not be a problem to professional web developers, but for a beginning website builder or blogger, it may take a while before you can get use to this product. The learning curve is not really a disadvantage, since when it comes to diffculty ranking, the WPBlazer ranks somewhere between easy and average, although this could go higher for the novice website builder and website flipper. Perhaps the WP Blazer support team can be of help here, since I guess they would also be offering tutorials aside from their troubleshooting services. In addition, the WP Blazer Tool Suite comes with exclusive tutorial videos which should be of great help in getting you started. (1) The product it seems is geared more towards people involved in making money online through website flipping. Most of its features like the Flip Easy, Blazing Fast Site Transfers, Exclusive Market Place, and Clone Ultimate is great for those who need to create or clone websites in a flash. In this sense, website flippers should be able to save on their time as WP Blazer somehow automates the the whole process, thus giving them the chance to work faster and the better probability of making money online. (2) Aside from those who buys and sell website for a living, website managers and blog owners who have multiple sites and blogs to manage will also benefit from the WP Blazer Tool Suite. The all in one dashboard allow them to monitor across all their sites and gather necessary information in helping them understand which sites fares better than the rest, and thus be able to improve their SEO tactics and marketing campaigns. (3) The WP Blazer is not for you if you are simply trying to run one or two blogs on Wordpress. Sure, $37 may not sound much, in fact its even cheaper than a year's payment for a domain name, but in my opinion you'd b better off running and managing your blog on your own. More so if you do not really intend to monetize your blog. (4) The WP Blazer sells for $37 (although the price is bound ot go up soon once the promo is finished. I think this is a great deal since you'd be getting a lot of good features plus over $1000 in freebies. So this ends my review on the WP Blazer Tool Suite by Girithara Prakash. I hope that I have somehow helped clarify some issues about whether you should buy WP Blazer or not. If you have any comments, suggestions, or would like to help me improve this article by giving additional information about WP Blazer, feel free to post them in the comments section below. Don't get me wrong - I am happy and contented with being a freelance writer and having clients thank me for an awesome piece. Aside from that, freelance writing can also become very boring - holed up in the house, facing the computer all day, and researching keywords and topics and writing and researching keywords and topics and writing and...well, you get the idea. So here's what I usually do whenever I need a break from writing, which also happens to be great alternative sources of income for freelance writers who need some extra cash. Internet marketing is a great way to earn some passive income, and provide distraction from the monotony of writing about the same topic again and again (After writing 50 articles about podiatrists - which is a fancy name for foot doctors - I terribly needed a break.) Affiliate marketing is no mean feat, by the way, but it is not rocket science either. I usually start off by visiting JV Notify, JV Zoo and Clickbank and browse through the available products which I can promote. Then, when I have chosen one, I sign up as an affiliate and go over the product, looking for reviews before writing my own. I post it in my blog if it is appropriate or create a free blog on Blogger or Weebly or Wordpress. And then I promote that review through my friends and followers on Twitter, Facebook, and those who signed up for my email list. Now, this gig can either earn you some big cash or none - depending on a variety of factors which are too lengthy to discuss here. I'll go over affiliate marketing in another post in the future. If you still don't have a blog, it's high-time that you build one. It's not that difficult after all, with many free blogging platforms out there like Weebly, Blogger or Wordpress. Monetizing your blog is another great way to earn passive income. There are several ways to do this, and one is by displaying advertisements on your blog's headers or sidebars, which will earn you some money when your visitors and readers click on them. The most famous pay-per-click (PPC) or cost-per-click (CPC) would have to be Google Adsense, although there are other alternatives like Chitika and Infolinks. The money here is not that big, unless you've got thousands of readers who click on those adds, but still, a few hundred bucks a month is worth the few minutes you used in embedding those adds. Besides, it's a good way of livening up a bland web page. If you don't have a blog and you don't care about monetizing it, then why not go back to writing, but this time, instead of writing for clients, why not try writing for yourself and your readers on another person's blog? You can write about any topic you want, and the best part is that you get paid doing so. One of the tricks of many website owners in order to gain traffic into to their sites (as well as have regularly updated blogs) is by paying people to guest post. Here, you'll have to get in contact with the site owner and submit a proposal or a topic that you would like to write about. Now if you've got something that interests the site owner, he or she may just pay you to post on their blogs - not only do you get paid, but you also get to have your name and website with the blog - instant advertising and exposure, huh? This is actually pretty good for you since you do not only get paid but there is the chance that the readers of those blogs will be one source of traffic for your website. Oh yeah, the price. Post Joint pays $100-$200 per post, while Your Online Biz pays $100. There are of course others out there, but these two are the highest payers I've seen so far. Got other ideas for alternative sources of income for freelance writers? Do share them in the comments section below. Cheers!